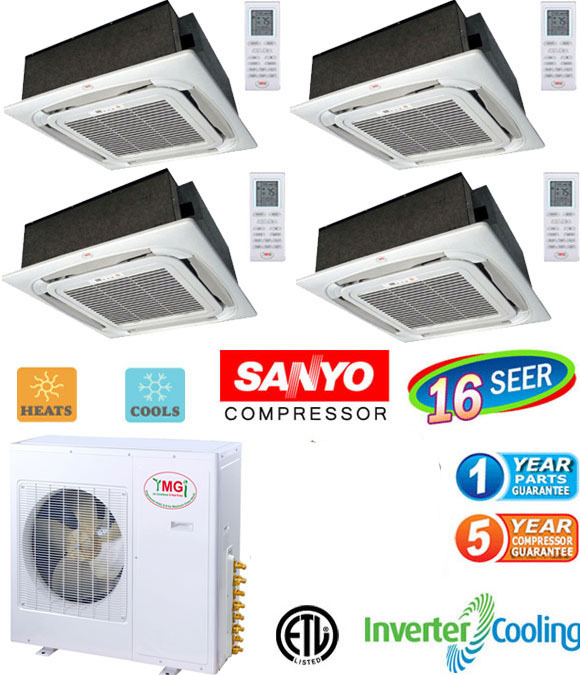 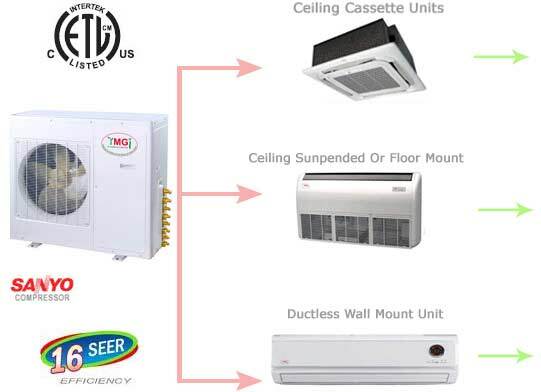 16 SEER: 4 Ton Quad-Zone Ductless Ceiling Split AC, Heat Pump: The 48000 BTU this Quad Zone INVERTER mini split with Ceiling Cassette can cool or heat FOUR separate zones (12000 x 4) for a total coverage area of over 2000 ft² (550 ft² x 4 areas). 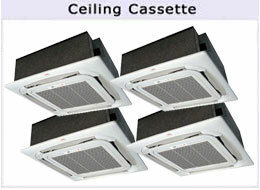 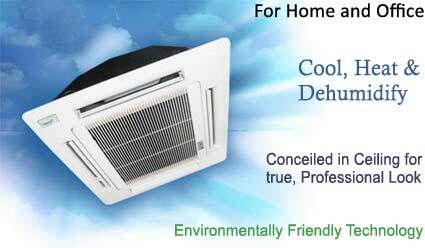 The ceiling cassette air handlers are discreetly recessed into a ceiling - only the grill is visible. 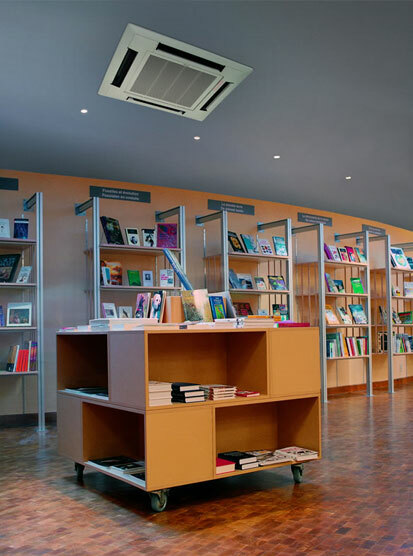 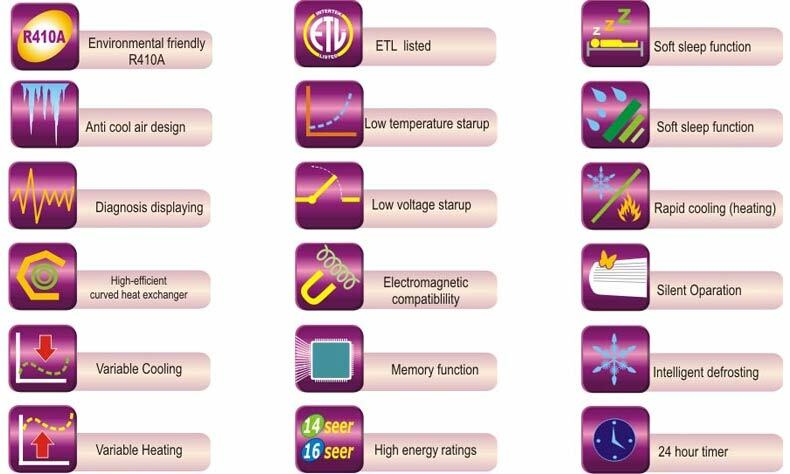 Inverter technology provides the benefits of low operation temps, rapid cooling / heating, as well as maximum energy efficiency. 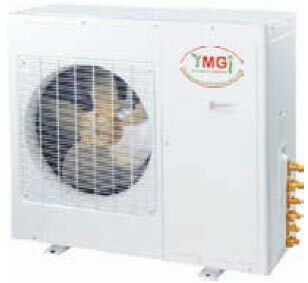 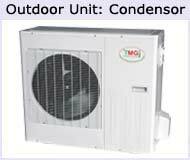 the total combined BTU output is limited to that of the outdoor condenser. 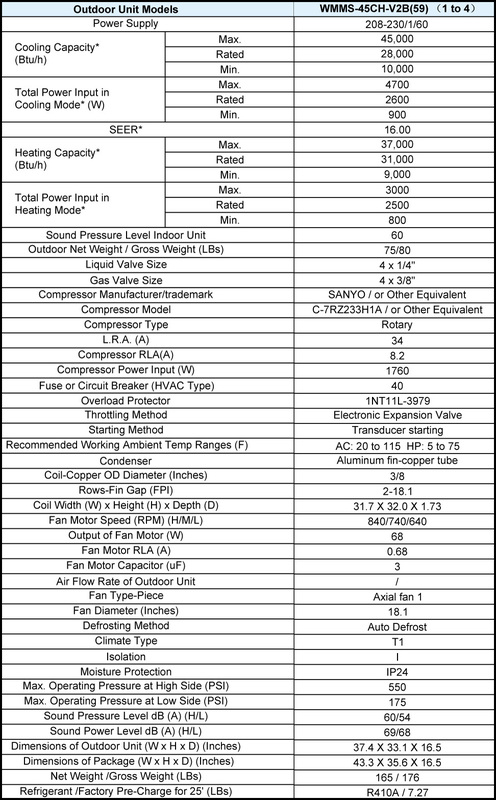 Pre-charged w/ R-410A Freon For 25' [x3] of Piping. 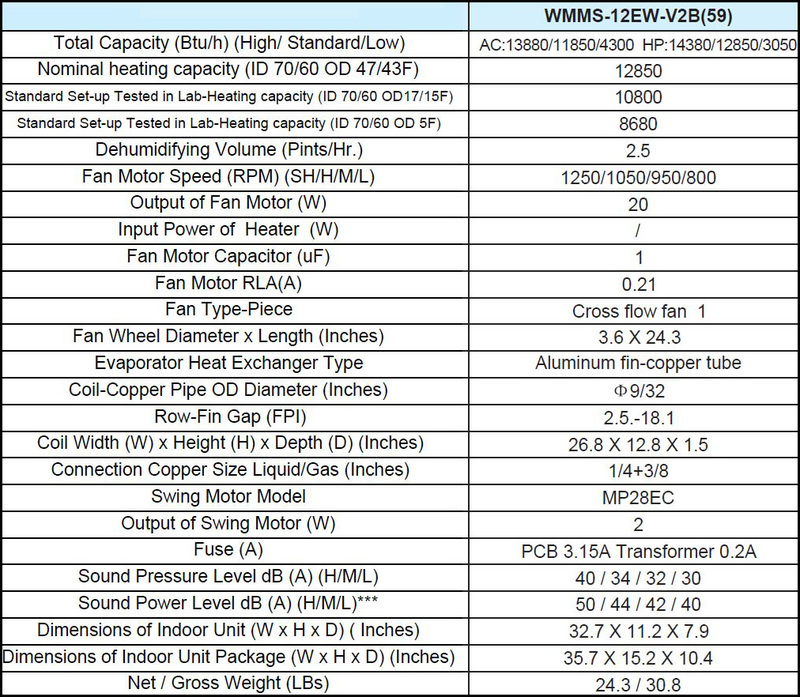 *If alternate air handler types are preferred, request invoice with preferred options upon checkout or contact us.